Looking for hardwood flooring? Talk to the Indianapolis hardwood flooring experts at Kermans for insight into current trends and popular styles of hardwood. 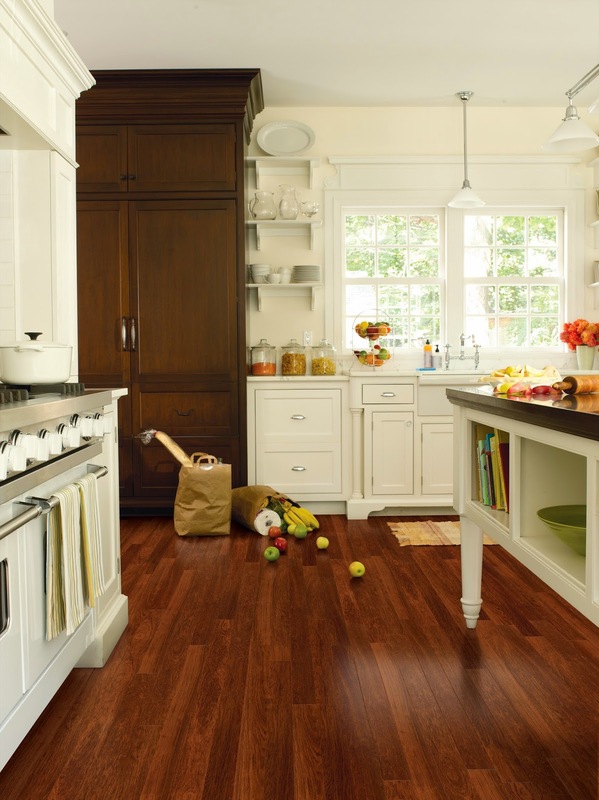 A big wood flooring trend is to use darker colors like mahogany or cherry. Some clients opt for an espresso stain on a lighter wood to achieve the dark color. Here in Indianapolis we see this hardwood flooring trend most often in kitchens with white cabinets. The dark floor really sets off the white cabinets for a distinct look and feel. Dark hardwood flooring is available in solid hardwood or laminate wood flooring at Indianapolis floor store, Kermans. Learn more. Grey or white washed wood flooring brings an instant rustic feel to any room. Grey wood floors work well with pale, white furniture or decor giving a larger, more open feel to a room. An added plus: grey floors are easier to keep clean than high polish, darker wood floors. Ask the free design staff at Indianapolis hardwood flooring store Kermans how to incorporate grey-washed wood floors into your home. Wood floors can be finished in a variety of sheens for a matte to satin to glossy appearance. Current trends lean towards a satin finish which reflects a bit of light but helps hide dirt, dust or imperfections more than a shiny, glossy finish. A wood's finish luster does not impact its durability - it is strictly a personal preference on the look of your hardwood floor. Planks that are 5" or more in width fall into the category of wide plank wood flooring. You can find hardwood floors in a variety of widths - even 10" or greater in some cases. This trend fits in with a more rustic, natural feel. It also tends to work best in larger spaces. 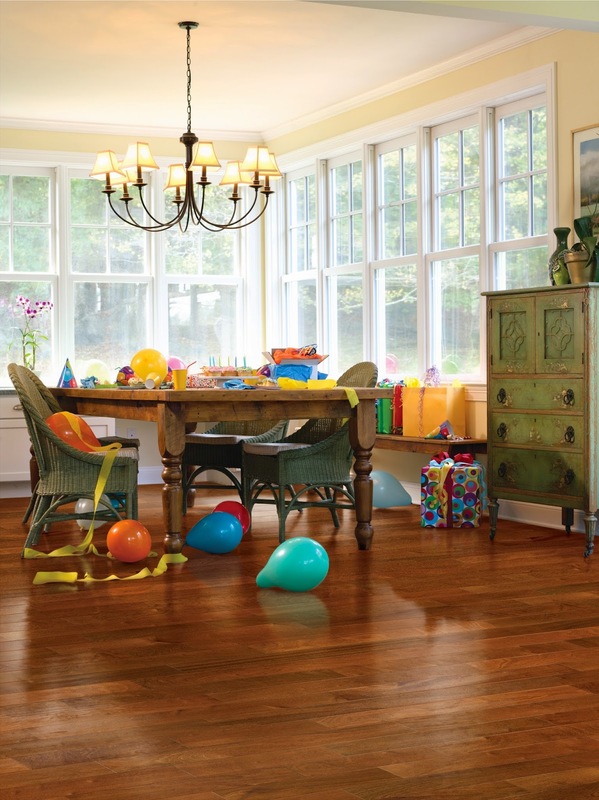 When it comes to understanding hardwood in Indianapolis, Kermans knows trends and good values. Our showroom on the northside of Indianapolis offers solid hardwood, laminate wood, bamboo flooring, cork flooring and more.